Borderlands Developer Gearbox picked up the Homeworld IP from the smouldering embers of publisher THQ when its properties went on sale. They’ll be releasing a remastered, HD collection of the first two games, giving fans of the real-time space strategy games something to be giddy about. This weekend, they announced when they’ll be available – and teased it all with a new trailer. 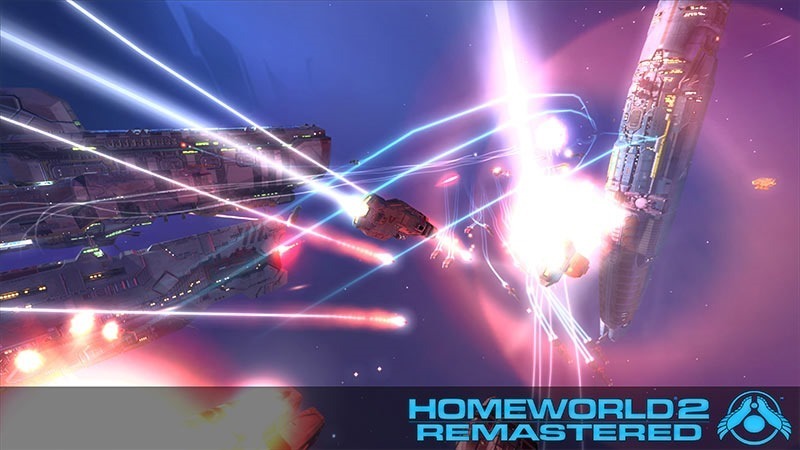 You’ll be able to get your hands on the Homeworld Remaster Collection as a digital download – which contains Homeworld and Homeworld 2 – on February 25. In the trailer below, you can see how much work has gone in to making the rejiggered games look great. The newly done, animated cut-scenes look rather spiffy too. Unfortunately for fans, Homeworld Cataclysm isn’t included in the package, because its source code is lost in the ether. The game will come with a new multiplayer mode that blends both games together instead. If you pre-order the game before February 24, you’ll get a 15% discount. In this day and age though, I can’t honestly recommend anyone pre-orders anything; giving people money for a game before it’s available just gives them a reason to not have to care about finishing it. Still, it’s a remaster of an old game and not a brand new one, so Gearbox can’t stuff it up too much, right? Either way, you’ll be able to play classic versions of the games without the extra HD spit and polish if purism is your thing. If you’re not keen on old games, and want something new in the Homeworld universe, remember that Gearbox has allowed developers of the original games to use the licence – and they’ll be releasing their new Homeworld: Shipbreakers at some point in the near future.